Indego's bike-share program is beloved by white-collar commuters in Center City or free-wheeling students in University City. But in lower-income neighborhoods, the bike-share program is struggling to find traction. 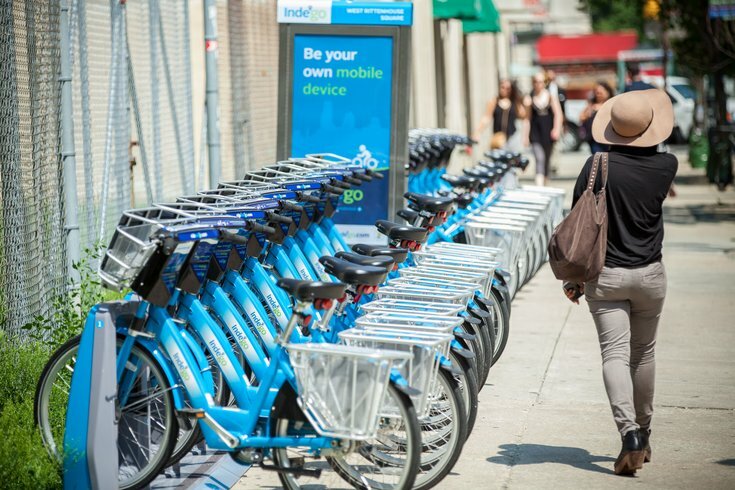 The Philadelphia Inquirer analyzed how many people checked bikes out of Indego's 73 stations this spring and summer and found that the five least-used rental stations were in neighborhoods where the median household income is less than $25,000. This comes even though Indego has tried to reach out to those with lower incomes by offering a cash option for membership, which might be helpful for people who don't have debit or credit cards. However, less than 100 of Indego's 8,300 members use that option. Indego is far from the only bike-share program that has struggled to reach lower-income users. As City Lab reported, a University of Vermont study that analyzed bike-share programs in seven large U.S. cities found that all of them suffered from inequities based on race, income or education — or all of the above. The Vermont study looked at access: Which groups live closest to bike-share stations? However, even when there is access to a station, the Inquirer analysis found lower-income individuals may not necessarily use it. This is odd, because the percentage of lower-income individuals who bike to work is actually higher than middle-class or upper-class people, a Census survey found. That makes sense, since they may not be able to afford a car or bus passes. Vox's Matthew Yglesias has theorized that bike sharing doesn't make economic sense for lower-income people. If you really need a bike because there's no other way to get to work, you'll buy one. If you have the flexibility to drive, walk or bike depending on the weather, then bike sharing is a better option. "What bike share is good for is occasional recreational riding for someone who's not really counting on it," Yglesias wrote. Indego will start experimenting with projects that target different groups with different prices. Changing prices may be the best way to encourage a wide range of users to hop on.